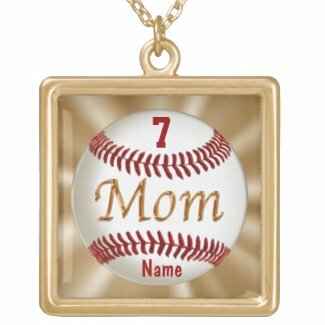 Great gift idea for Baseball Jewelry for Moms. 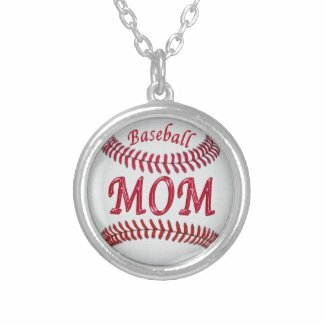 Small, Medium or Large, Round or Square Baseball Necklaces for Moms. Silver Plate (Large Round Silver Plated is shown), Gold Finish or Sterling Silver Baseball Necklace available in Small and Medium Round or Square style. Be sure to see the cool sports number necklaces and other baseball mom apparel, below. “Style Options” is the lower right side of the Baseball Mom Necklace product page. Select a different Shape, Size and Style. Be sure to see the pretty Locket style too. The price will be reflected in the upper right hand side of the page as you try out different shapes, sizes and finishes. Select this Baseball Locket in Gold Finish as Shown or Silver Plated Baseball Locket for Moms. Beautiful Sterling Silver for an amazing Baseball Christmas Gift Ideas, Birthday or End of Season Gifts. 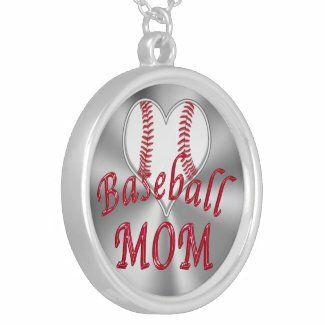 Show her how much you appreciation her dedication and being the Best Baseball Mom Ever with the prettiest Baseball Jewelry for Moms. 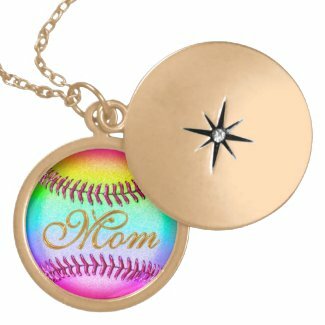 This shows two of the shapes and finishes available for the Baseball Jewelry for Moms. Square and Round Baseball Jewelry for Moms comes in Silver Plated, Gold Finish and Sterling Silver Baseball Necklace . Baseball Locket comes in all three finishes. The price will show as you try out the various Baseball Mom Jewelry styles in the “Styles Options” section in the lower right hand side of the Pendants. It will be so much fun to wear your child’s Name and or Number on such pretty personalized baseball jewelry for moms. Mom will really enjoy this Baseball Jewelry for Moms. Most of the Baseball Necklaces are around $30.00 or less. You can choose a Sterling Silver Baseball Necklaces at a higher price. Affordable Original creations by Little Linda Pinda Designs. The necklaces were a huge hit for Christmas on some of the other sports so I decided to create original designed Apparel and Baseball Jewelry for Moms. 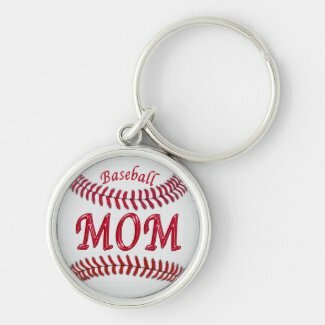 How about Matching Baseball Necklaces for Moms and Keychains The Baseball Keychains for Mom signifies how she is there driving and or carpooling to practices and games. Great Matching Baseball Jewelry for Moms. What a great gift idea for Baseball Moms. Be sure to watch this Funny Baseball Bloopers YouTube Video below. Watch the ball boy pick up a little baby kitten on the field and how he dances around, so I thought, as he is trying to get the kitten off the field. I think the kitten won. SCROLL DOWN to see other Cute Baseball Mom Accessories and Apparel. Choose from Round, Square or Baseball Locket Styles in Small, Medium or Large Sizes. Available in Silver Plated, Gold Finish and Sterling Silver Baseball Necklace. Select the your favorite style in the “Style Options” area on the product page in the lower right hand section. The perfect gift for Baseball Jewelry for Moms. 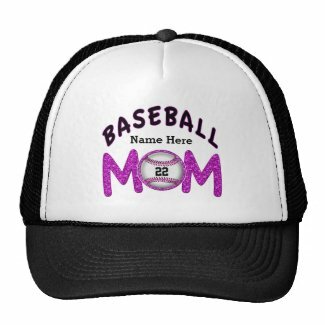 Cute Personalized Baseball Mom Shirts with Matching Baseball Mom Hats. Choose from 126 different style Baseball Mom Shirts in many colors and sizes. The Baseball Mom Hat comes in 11 Colors. I like this design with the Hot Pink Baseball Caps, Black and White adjustable baseball caps. Fun matching baseball stuff for moms. Along with Baseball Jewelry for Moms, she will enjoy this apparel as well. with ALL of Little Linda Pinda’s Custom and Personalized Baseball Gifts for Moms, Dads, Baseball Gifts for Coaches, Teams and Players. Click on the Baseball Stuff Image or Link. Moms and dads dedicate a lot of time and effort driving their kids to the games and practices. My brother and sister-in-law took their kids out of state for national competitions. They are so proud of their kids accomplishments and all their hard work. Here is a sampling of some of the Funny Baseball Quotes from Yahoo News. See the Link below the funny baseball quotes. Soooo Fun to Watch. I laughed out load all by myself. I found this really funny Baseball Fails and Bloopers YouTube Video. I like the one where the ball boy picks up a tiny kitten on the field. Watch how he twirls and dances off the field as he takes the kitty away. Call Linda for HELP or if you would like any of my designs on any Zazzle gift or any changes to the designs. Thank you so very much for visiting my site. Please Bookmark my Zazzle Shop for future Personalizable Gifts. I love giving custom Zazzle gifts to my family. It is so much fun to watch them open up their gifts. Sometimes I send the gifts directly to their home because I live out of state. Extra special memories that bring lots of smiles. Zazzle will include a gift message too. Many of the gifts ship within 24 hours but the Baseball Mom Jewelry ships in Three to Seven Days plus add on the time it takes to get to your home or the home of the recipient. Please let me know if I can create a gift for you. You get to see it before you decide if you wish to purchase it or not. You will love the service Zazzle offers along with the 100% “LOVE IT” Guarantee. I was amazed at the fact that they get Less than 1% of their products returned to them. However, if you decide you would like these cute baseball team mom gifts in your team colors or her favorite color, give me a call. [email protected] Please write ZAZZLE into the email subject line.